Recently we have witness the catastrophic fire in the Cathedral of Notre Dame—and it’s loss to Christianity and Western Culture in general. I have seen many sources dealing with the “traumas” that Notre Dame has suffered though its long history but I was surprised by “it will be rebuilt.” Is this realistic? Or just wishful thinking? Well, many churches have suffered sever damage through out their history, but to use an example of one in Rome, let me mention the Papal Basilica of Saint Paul Outside the Walls. 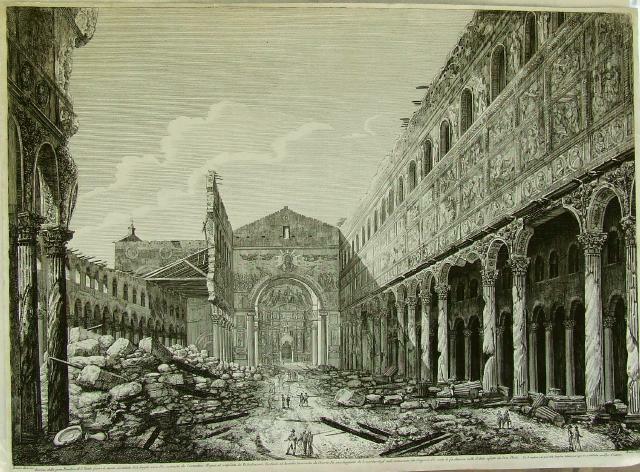 Rome — the remains of Saint Paul Outside the Walls after the fire of July 1823. This is the church where, according to very early Christian tradtion, the Apostle Paul was buried after his martyrdom. Constantine built the original church, but Theodosius built a new church in this spot around A.D. 390. This church lasted until July 15, 1823 when it was destroyed by a fire caused by careless workmen who were repairing the roof. This church had been standing for about 1,400 years before it was destroyed! Much longer than even Notre Dame (ca. 800 years). the interior of the church after its reconstruction in 1840. 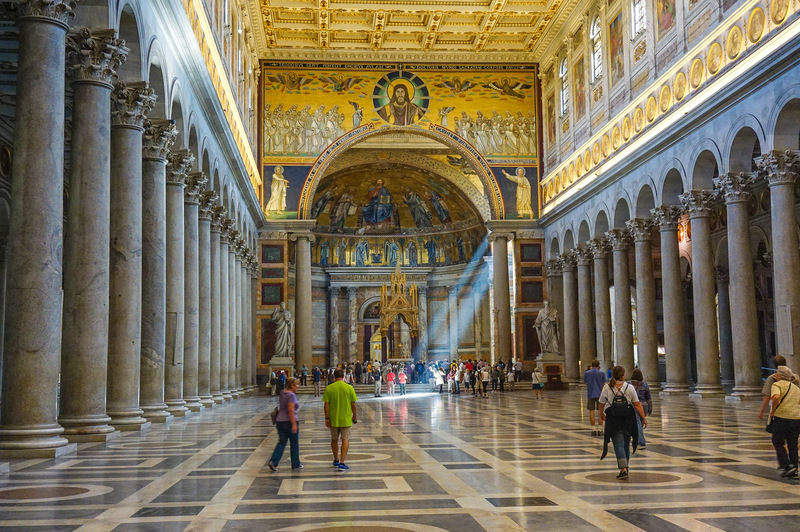 View looking east down the central nave of the Basilica of Saint Paul Outside of the walls. The nave is flanked by double aisle on both the north and the south. At the far (east) end is a triumphal arch that is a relic of the old pre–fire of 1823 that is supported by two granite columns. View looking east at the mosaic at the top of the Triumphal Arch. Although heavily reconstructed this is a relic of the old pre–fire of 1823 arch. On the top is a “grim–faced” Christ holding his hand blessing in the Greek manner. The four winged creatures above him have “faces” that represent the four Evangelists—gospel writers. Below them are figures representing the saints of the Apocalyse (book of Revelation). 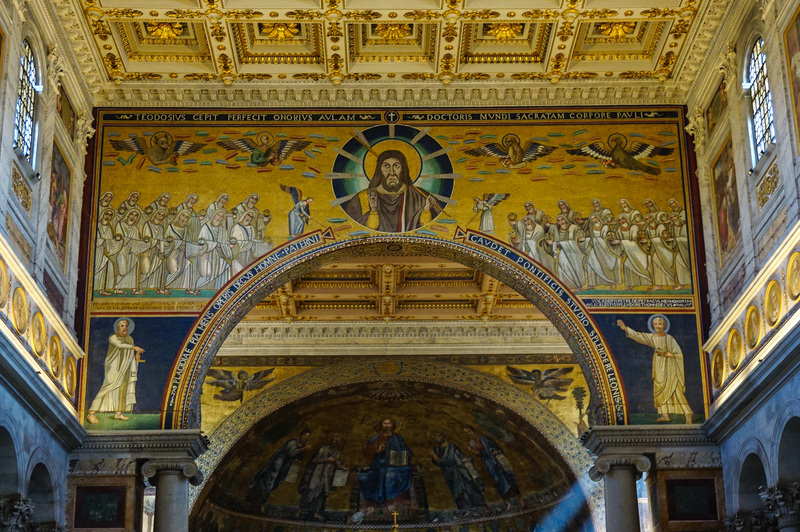 On the lower left side of the arch is St. Paul with a sword (of the spirit/word) and to the right St. Peter holding the keys to the Kingdom of Heaven. 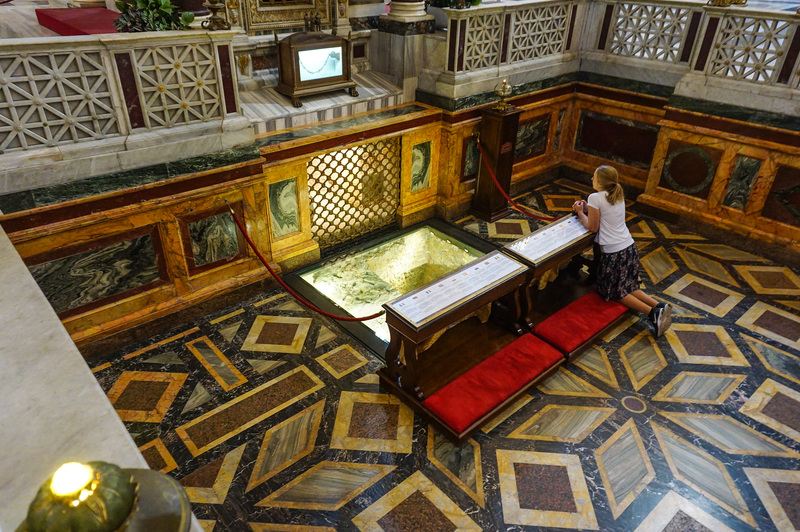 Notice the grating and behind that, a small portion of the sarcophagus that is said to contain the remains of Saint Paul is barely visible. During the reconstruction of the church two slabs were found with the inscription “PAULO APOSTOLO MART” (to Paul, apostle and martyr). Below the glass floor are rock carvings and a portion of the apse of an earlier church. The familiar couryard of the church. View looking east through the courtyard (Quadriporticus) of the Basilica of Saint Paul Outside the Walls. The statue on the left is that of Saint Paul. Notice the beautiful mosaics of the church. If this wonderful church can be rebuilt, certainly Notre Dame can as well! 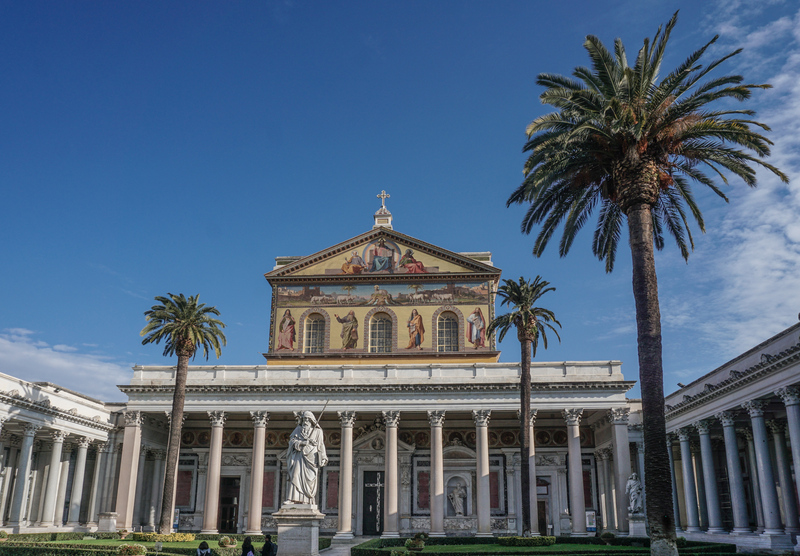 For 21 images of the important Basilica, Click Here. 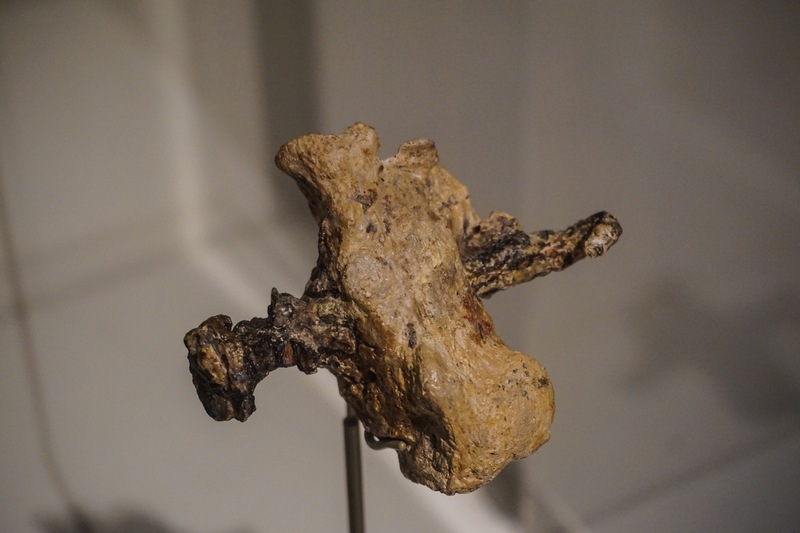 This is a replica of a right heel bone of a 28 year old man who was crucified in Jerusalem prior to its in AD 70. This replica is presented in the Israel Museum. A 4.3 inch nail penetrated the right heel bone of the man. A piece of wood was placed on each side of the heel prior to the pounding of the nail to affix the person to a cross. 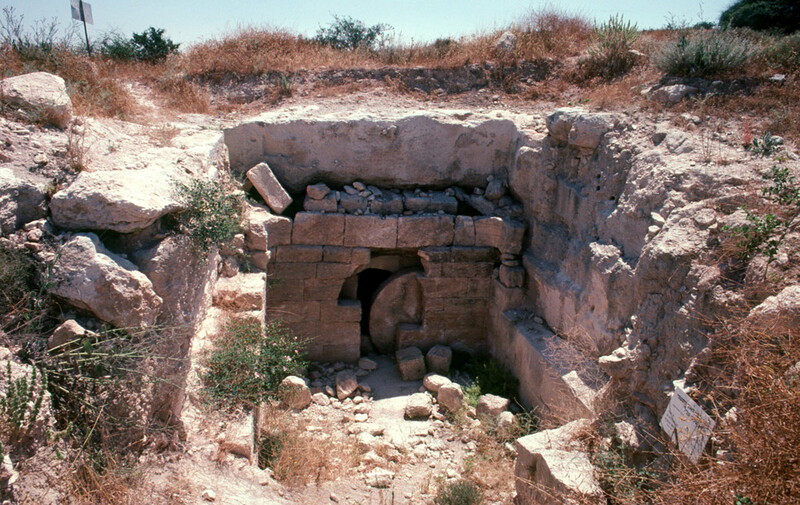 The skeletal remains of the man with the nail in his heel bone were found in this ossuary that was discovered north of Jerusalem. 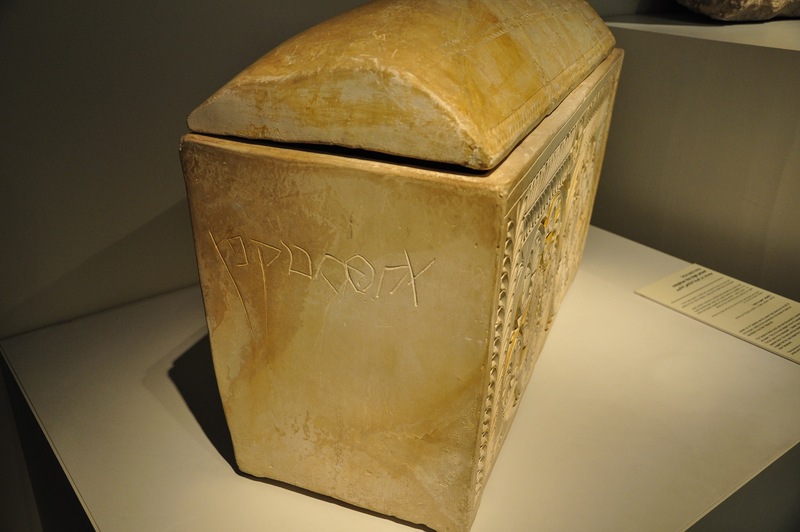 Clearly visible is the Hebrew writing of the name “Yehohanan son of Hagkol.” Note the two clear lines. 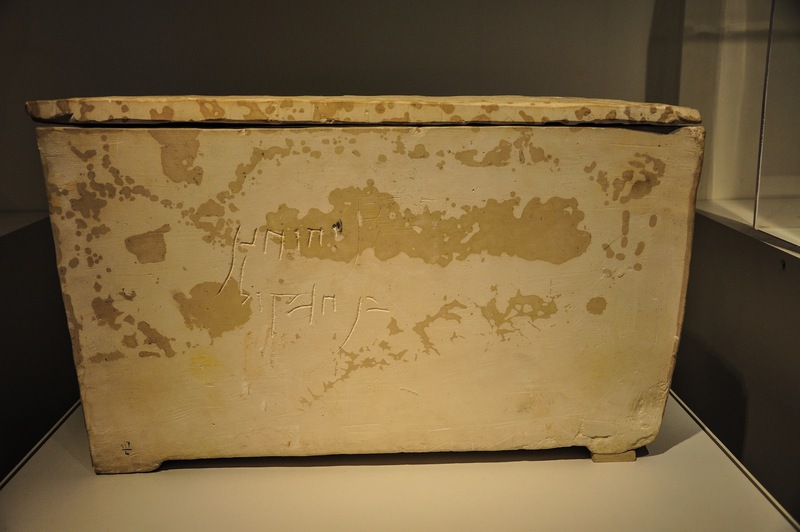 Above and to the right of the name “Yehohanan,” in the first line, is another faint inscription (click on image to enlarge to view inscription). A diagram in the Israel Museum. The above picture represents a scholarly reconstruction of how Yehohanan son of Hagkal was crucified. 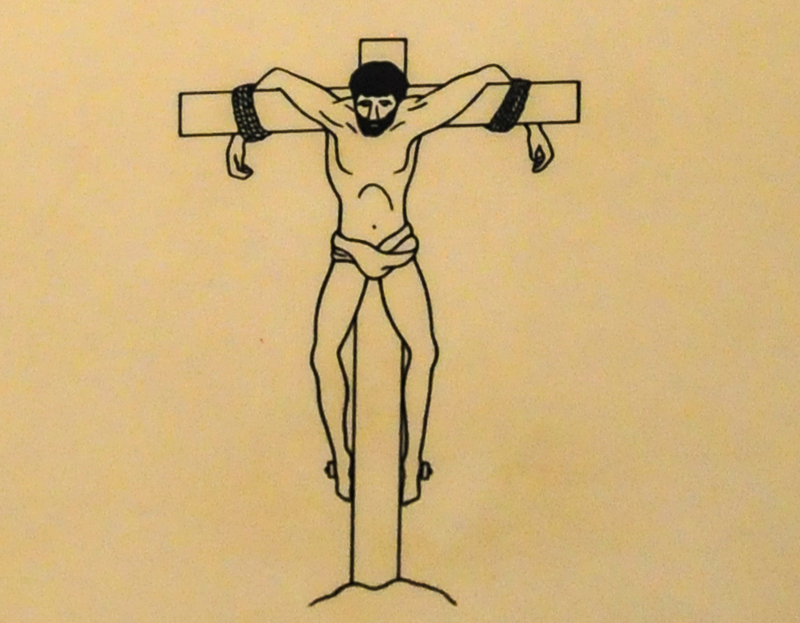 Note how his arms are tied to the cross—no nails were found in his hands or wrists. 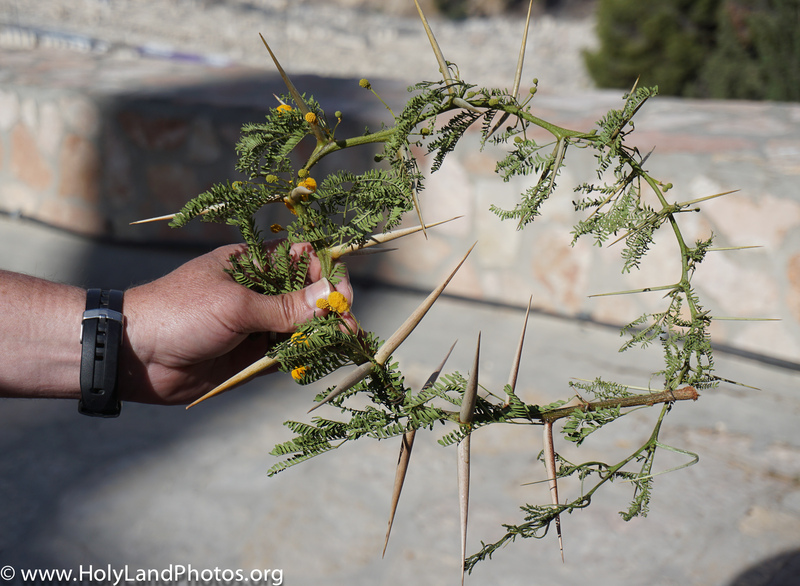 In contrast, Jesus of Nazareth’s hands were nailed to the cross—Thomas wanted to see the “mark of the nails in his hands” (John 20:25). Revision — In a PBS program on Jesus, (aired 4 April 2017) the heel bone with nail were taken out of a small storage box located in a huge warehouse. Thus, it does not appear that the original comment (deleted) regarding its “location” was correct. For a convenient description of this find see pp 318–22 in Clyde E. Fant and Mitchell G. Reddish, Lost Treasures of the Bible — Understanding the Bible Through Archaeological Artifacts in World Museums. Grand Rapids, MI: Eerdmans, 2008. 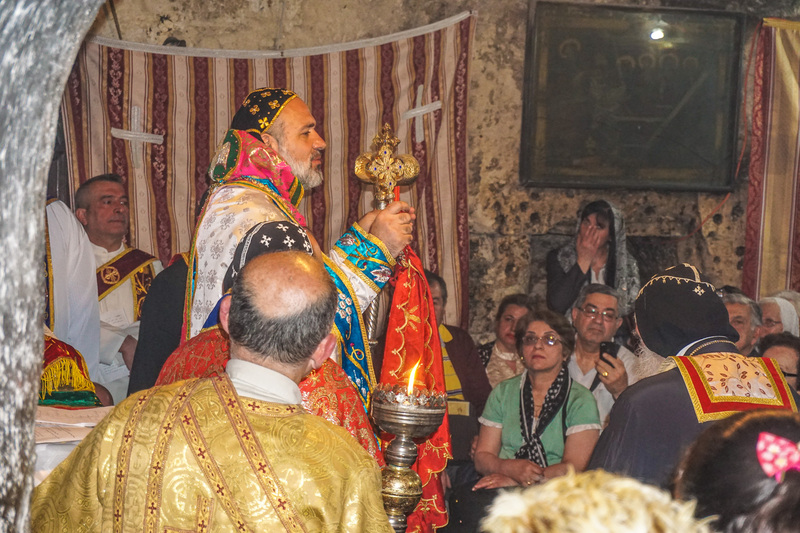 While visiting the Church of the Holy Sepulcher, I had a chance to observe portions of a Syrian Jacobite Service in the “cavern-like” chapel just to the west of the Tomb of Jesus. 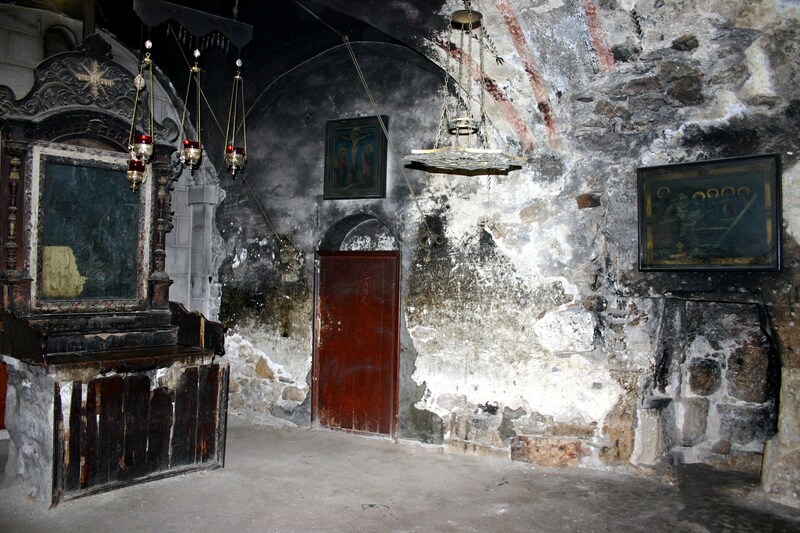 Syrian Chapel — without a service! Contrast the image above when it is prepared for the worship service of the Syrian Jacobites! 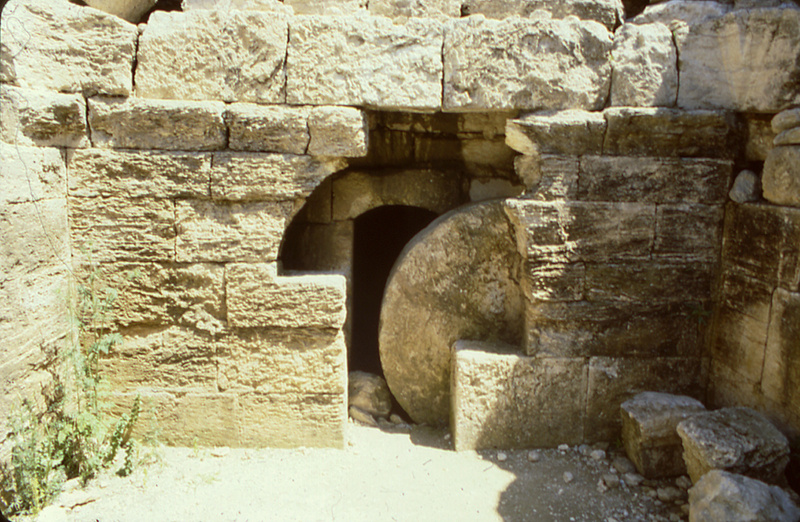 On the left is the wooden altar—where the priest above was serving—and in the lower right portion of the image is the low entrance into the Tomb of Joseph of Arimathea (see following). 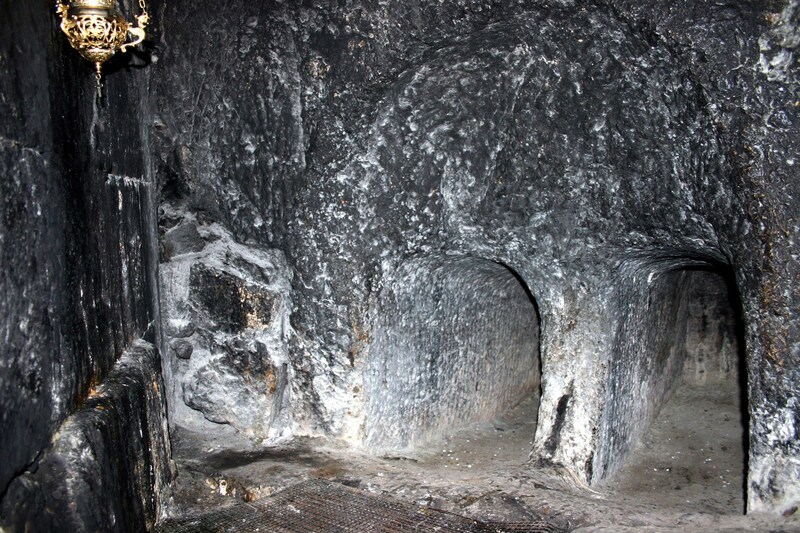 View of two of the niches (kokhim) of a first century A.D. tomb, into which bodies were placed. The entrances were then sealed. 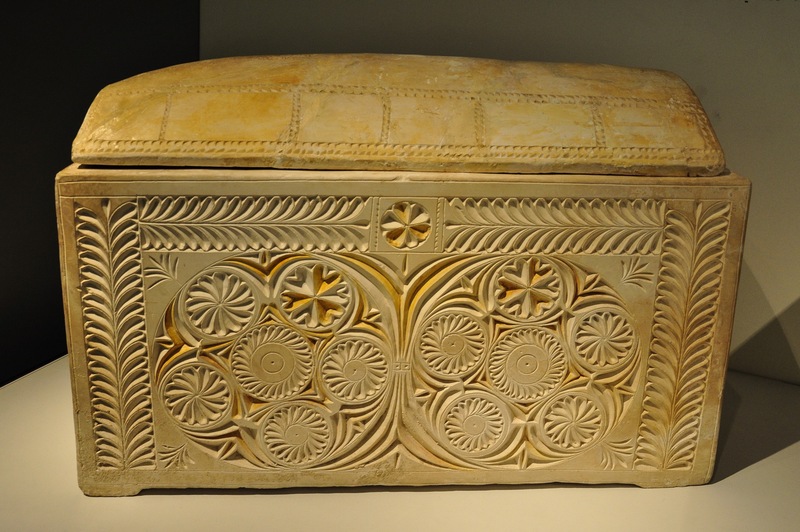 This tomb is entered via the Syrian Chapel and is sometimes called the “Tomb of Joseph of Arimathea.” The tradition is that Joseph of Arimathea was buried here, after he had given his original tomb for Jesus to be buried in (see, for example, John 19:38-42). 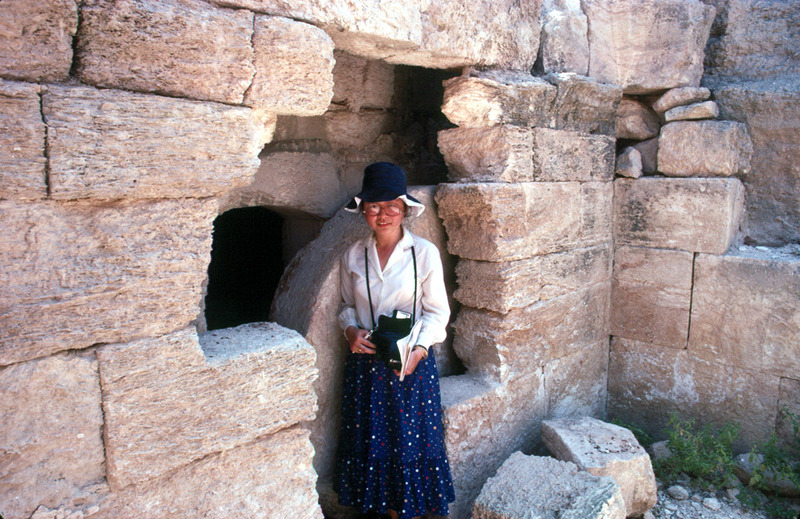 For an additional example of a typical tomb from the first century A.D. – from the Mt. of Olives – click here. I believe that “technically” this area is under the authority of the Armenians, but they permit the Syrian Orthodox to worship here. 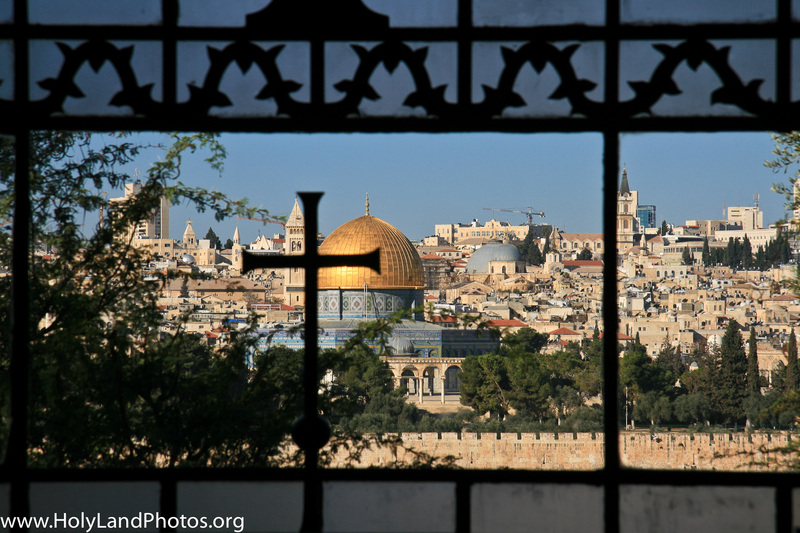 North of the Damascus Gate of the Old City of Jerusalem is the site of the Garden Tomb and Gordon’s Calvary. View of the “skull” – looking northeast. In the center of the image the “skull” is visible. 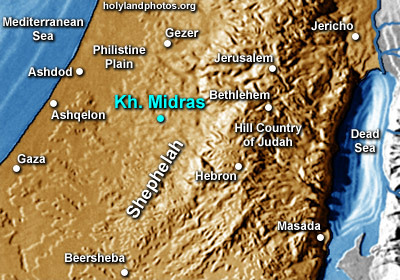 Note the modern Arab bus station in the lower right portion of the image. “Gordon’s Calvary” Just right of center note the apparent “eye sockets” and the bridge of a nose. Unfortunately the “bridge of the nose” collapsed a few years ago. 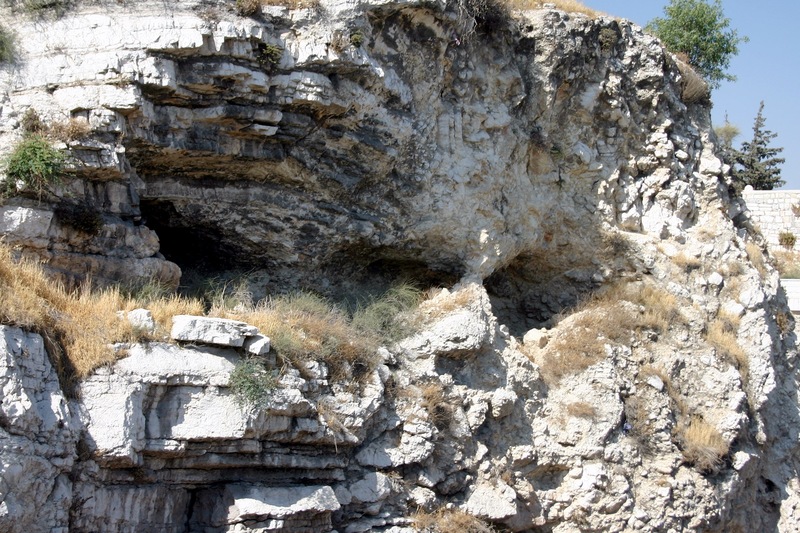 In 1842, Otto Thenius proposed that this was Calvary (Golgotha) – the place of the skull – the site of the crucifixion of Jesus. This proposal was given prominence by the British general Charles Gordon in 1883 in combination with the nearby tomb that had been discovered in 1867. For a more general view of the area, click here. Luke 23:32 Two other men, both criminals, were also led out with him to be executed. 33 When they came to the place called the Skull [Golgotha/Calvary], there they crucified him, along with the criminals—one on his right, the other on his left. 34 Jesus said, “Father, forgive them, for they do not know what they are doing.” And they divided up his clothes by casting lots. Luke 23:35 The people stood watching, and the rulers even sneered at him. 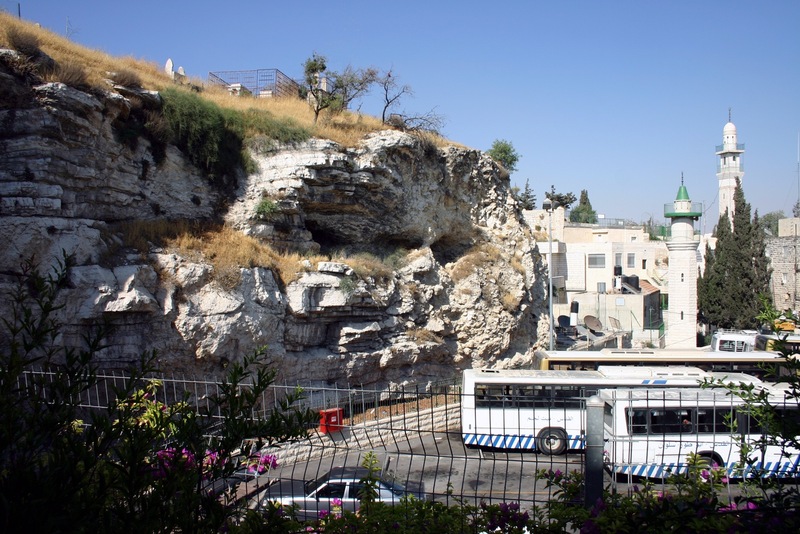 Since the Romans normally crucified people right along the roads, so passersby would be intimidated, the crucifixion was probably not on top of Golgotha, but along side a nearby road. 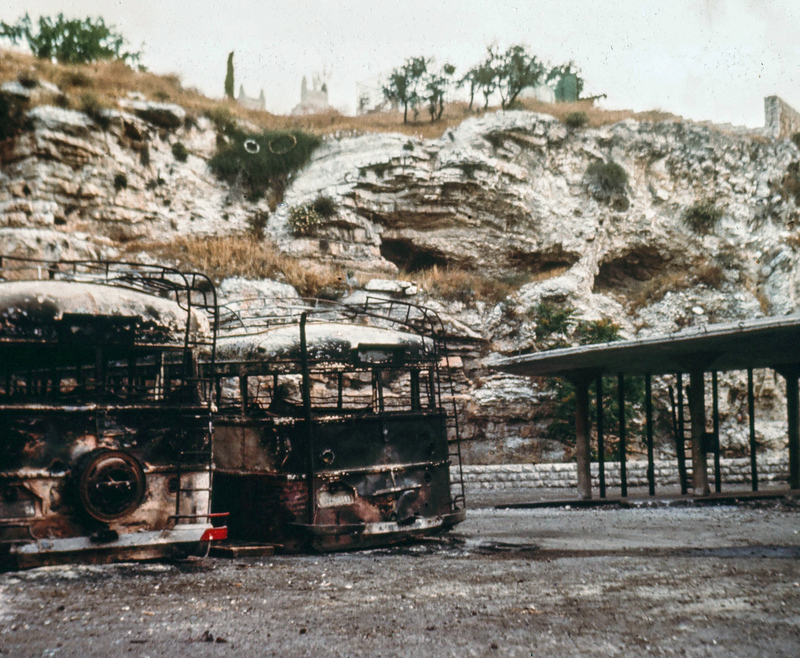 Gordon’s Calvary June 1967 — after the Six Days War.